Spiderman, Spiderman, does whatever a spider can. Spins a web, any size, catches thieves just like flies. Look out! Here comes the Spiderman! Can you tell I'm excited? I love Spiderman and no, it's not because I have the biggest crush on James Franco who just happens to be in some of the older Spiderman movies. It's just a HUGE coincidence, guys. I swear. OPI has launched six limited edition polishes inspired by Sony Pictures' The Amazing Spiderman, a series reboot staring Emma Stone and Andrew Garfield. The movie opens nationwide in 3D on July 3, 2012. 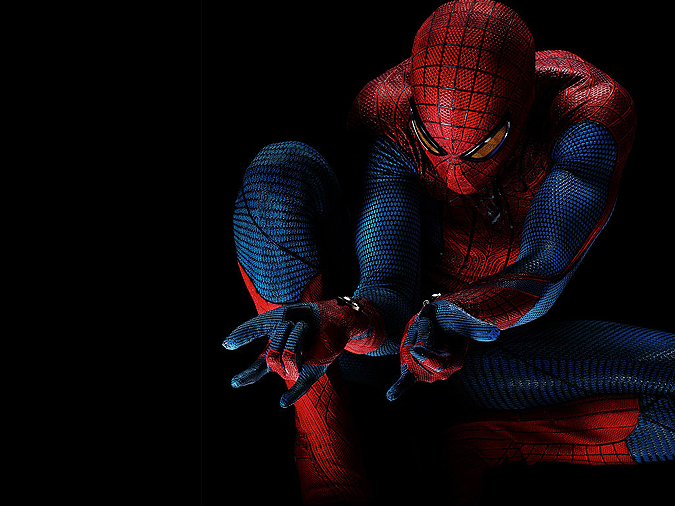 I love Emma Stone so I'll probably go see this even though I'm a little partial to the older Spiderman movies. Plus, Andrew Garfield is pretty damn adorable. Onto the polish. Now, I only bought two: Number One Nemesis and Just Spotted The Lizard from the amazing Jillian at Glisten & Glow. 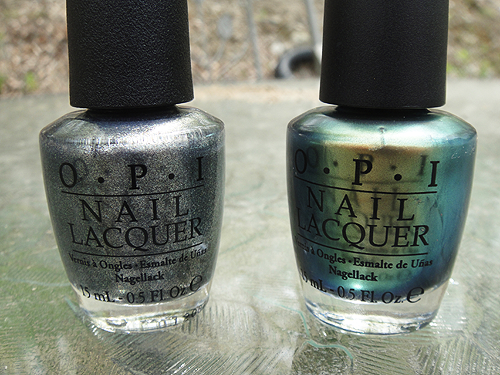 I kind of put myself on a polish budget this month (crazy talk, I know) and these two stood out the most. 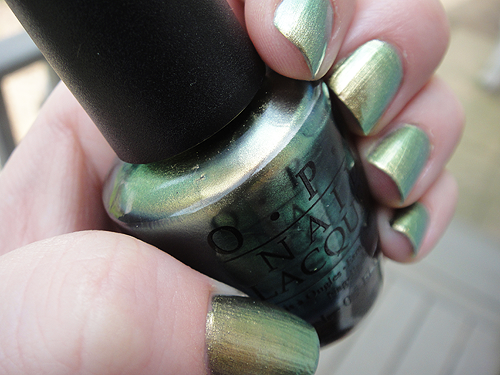 Just Spotted The Lizard is a golden green chrome with teal and pure green duochrome. 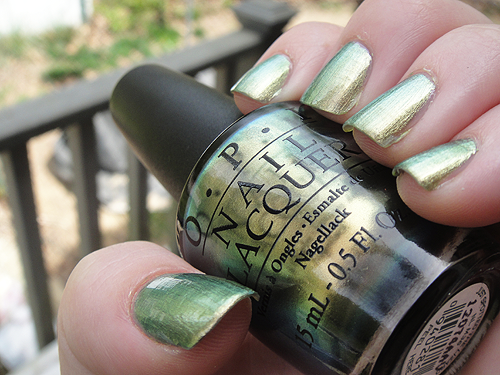 I've heard this a dupe for Chanel Peridot and Jessica Iridescent Eye. I don't own either but looking through other blogger's photos, it's clear this a dead on dupe for both. Three coats did the trick. Surprisingly smooth application if a little streak-prone but there's not much you can do about that. 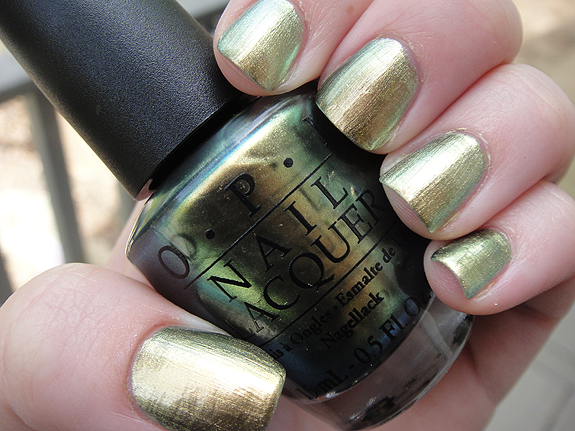 Overall, awesome color! Number One Nemesis is a complex weird greenish grey shimmer with even smaller particles of charcoal, olive, some blue and silver. 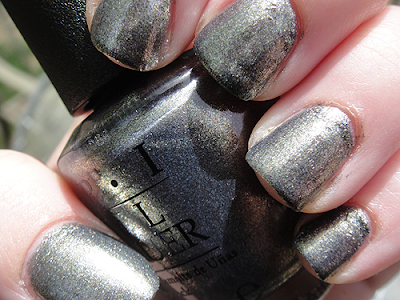 Many have said it's a dupe for Chanel's Graphite but again, I don't own it so I can't make any comparisons. I liked this one. 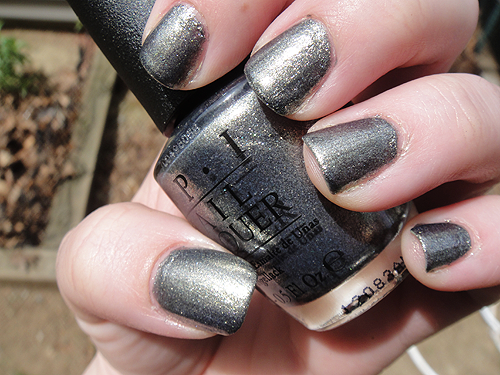 It kind of looked like a suit-of-armor on my nails. Application was a little rough as you can see near the cuticles, the glitter built up a little heavily, but it could've just been my weird way of applying it. Love these! Thes would be my picks as well, though I'm probably one of a very small group of gals who actually like the pink frost one. Thanks! I don't have any of the dupes they're for so I lucked out! I saw the pink frost and love it too! I was kind of on a budget for these otherwise I probably would've bought the entire collection! LMAO. Thank you! I know, they're awesome!